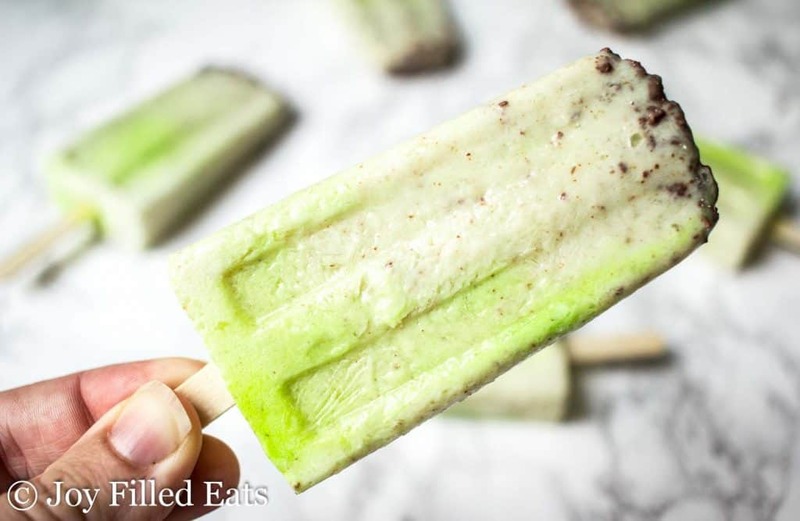 These Mint Chocolate Chip Ice Cream Bars hit that dessert craving in just the right spot. 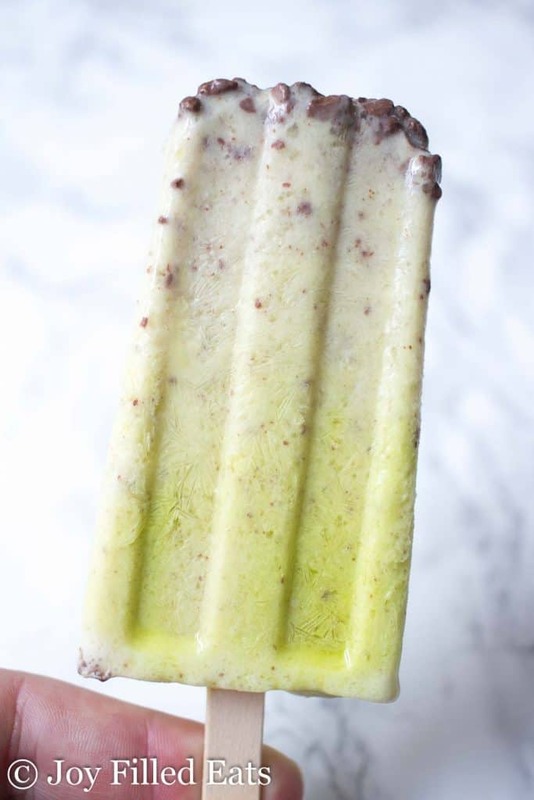 With mint and chocolate, you can never go wrong. Don’t mind the shocking green of my ice pops. After a few drops of food coloring, I thought they should look a little more green. So I added a few more drops and then realized my green was actually NEON green. No amount of photo editing could make them look the nice green I was envisioning. My kids loved these. They know they are healthy so they think they should be allowed to eat as many as they want, whenever they want. Like, for breakfast. I quickly vetoed that idea. 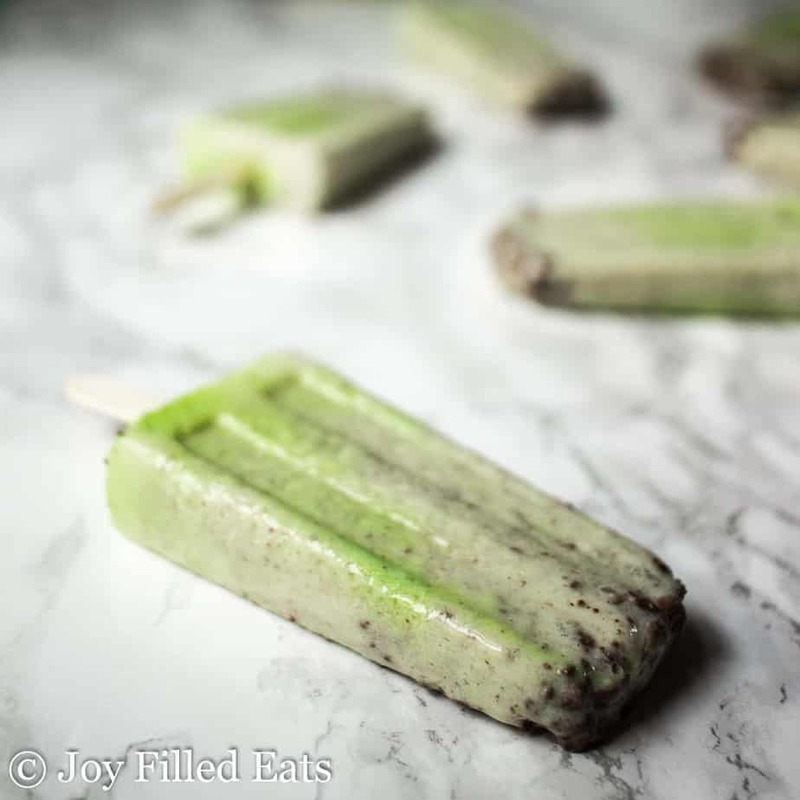 These have the perfect blend of icy and creamy. 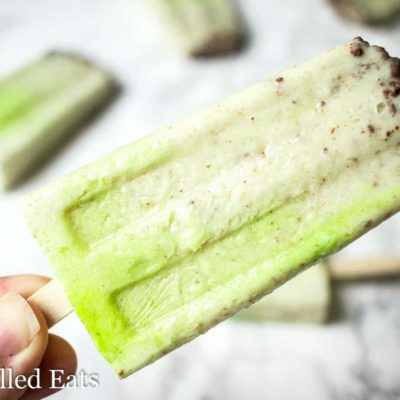 Just enough cream to make them a little more of an ice cream bar than an ice pop but still be in the fuel pull range for my Trim Healthy Mama ladies. I made 10 in this mold and a few more in another mold. 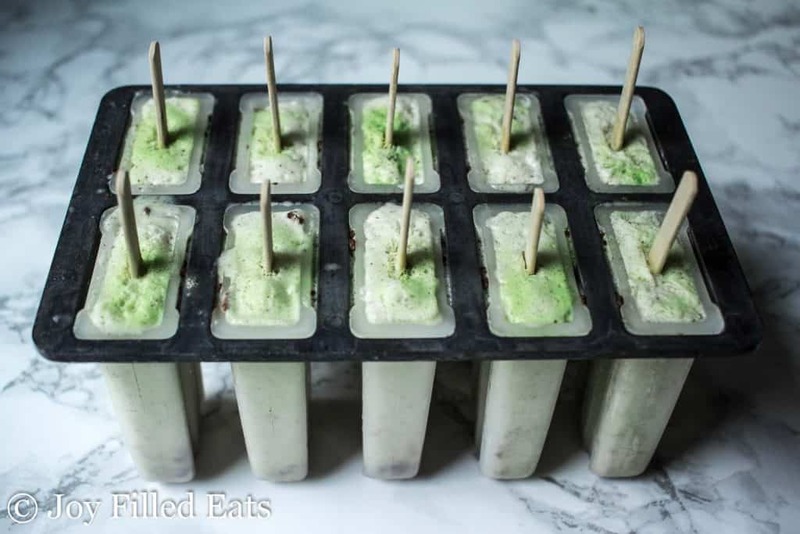 You are welcome to half this recipe for a smaller ice pop mold. Note for THM: These can count as a fuel pull but you cannot add any extra fat to your meal or snack. These can be enjoyed with an S meal without worrying about the fat content. Combine the first 6 ingredients in a blender. Blend until smooth. Add the chocolate chips and pulse until chopped. Divide the mixture between 10-14 ice pop molds. 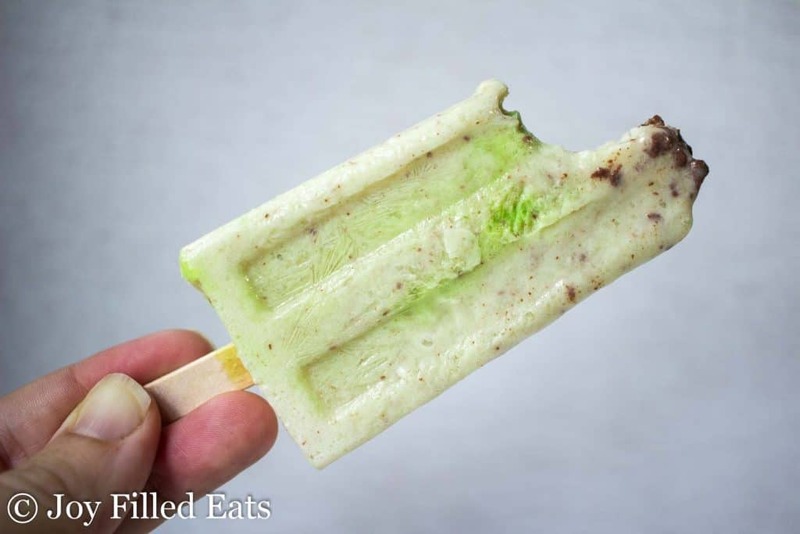 Depending on the size of your molds the number of ice cream bars will vary. Some of the chocolate chips will remain in the blender. Just add a bit to each mold. Freeze until firm. 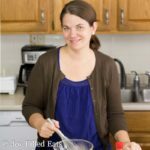 So after looking at some of your other recipes, could I add glycerin to this recipe and get ice cream instead of the bars? Yes, but just use 1.5 cups almond milk and increase the cream to 1 cup.